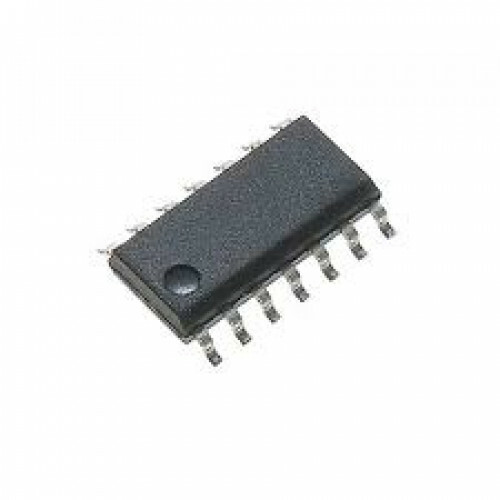 The MM74HC86 EXCLUSIVE OR gate utilizes advanced silicon-gate CMOS technology to achieve operating speeds similar to equivalent LS-TTL gates while maintaining the low power consumption and high noise immunity characteristic of standard CMOS integrated circuits. These gates are fully buffered and have a fanout of 10 LS-TTL loads. The 74HC logic family is functionally as well as pin out compatible with the standard 74LS logic family. All inputs are protected from damage due to static discharge by internal diode clamps to VCC and ground.